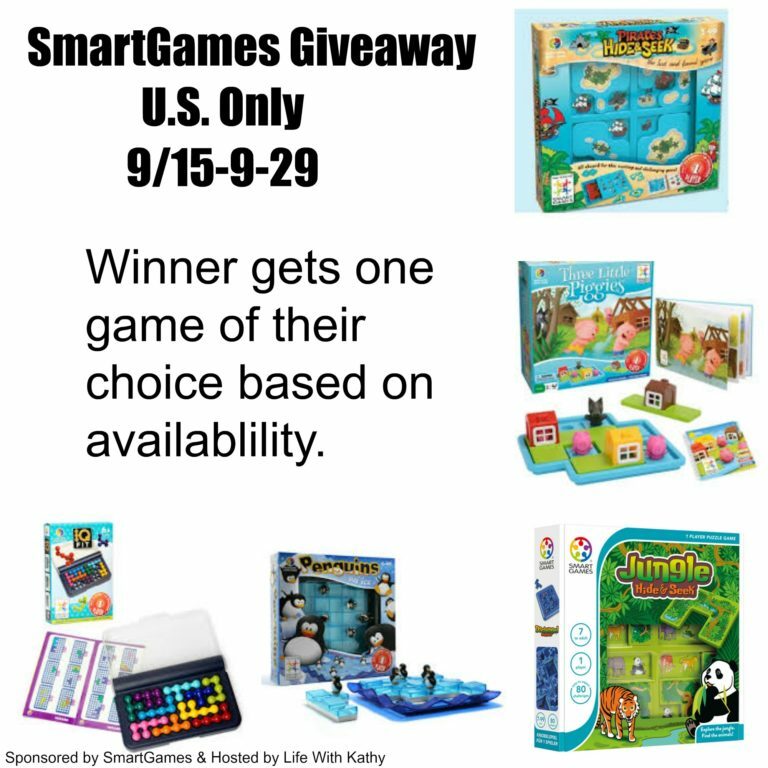 This giveaway is for one SmartGames game. The winner will get to choose which game they would like based on availability. The giveaway is open to the U.S. only. It will run from 9/15-9-29. You can enter below for your chance to win. Good luck to everyone!